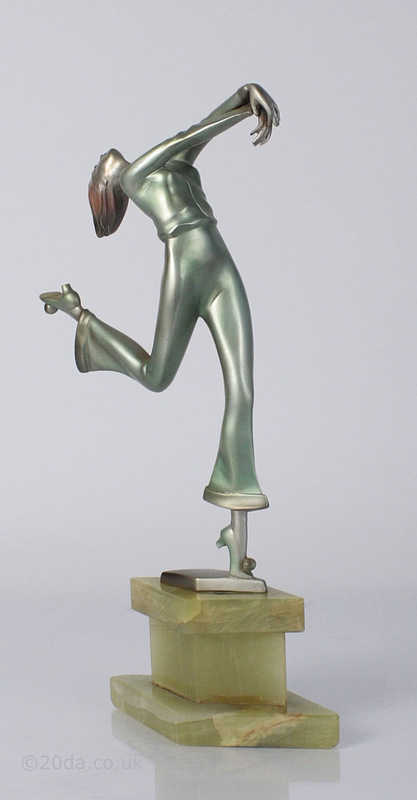 Adolph - An Art Deco Austrian bronze figurine, 1920s depicting an exuberantly dancing young lady, with a silver and enamelled cold-painted finish, mounted on a triple tier onyx base. 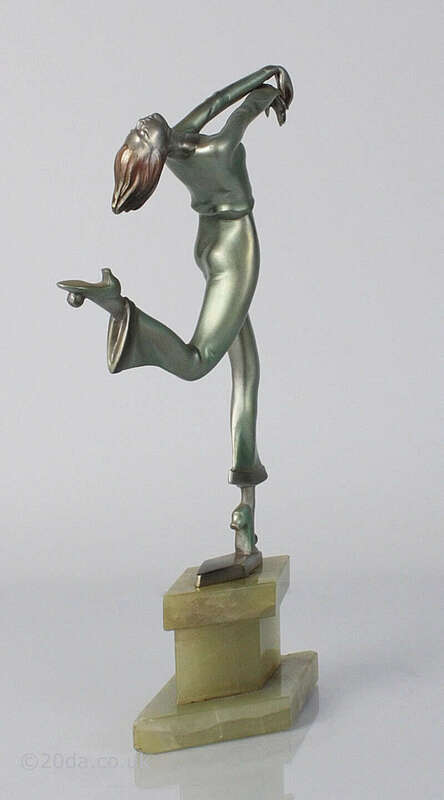 Bronzes signed by "Adolph" have a very distinct style, so although this example is unsigned I have no hesitation with the attribution. 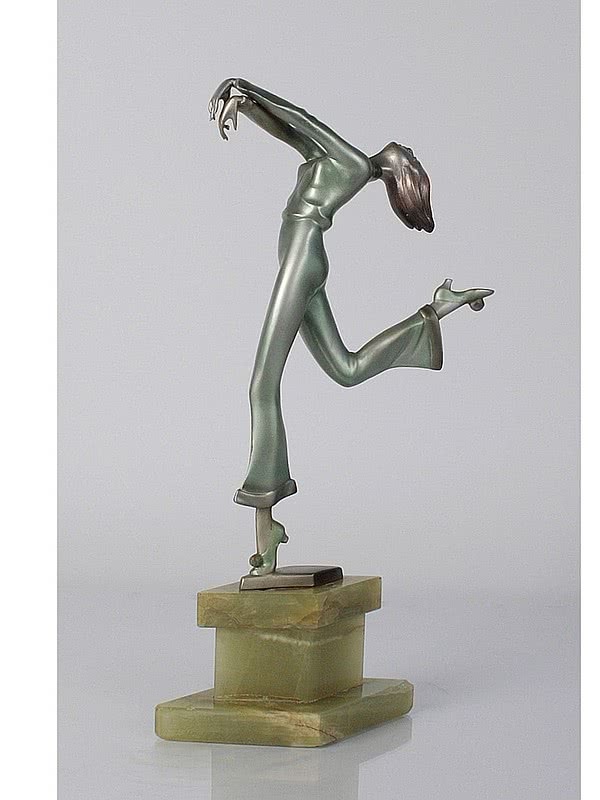 There is also a cross over with Josef Lorenzl and sometimes same sculpture can be found with either signature.